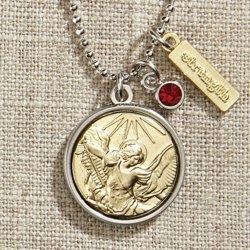 St. Michael necklace is crafted of mixed metals, featuring gold St. Michael medal with silver setting. Red Swarovski crystal symbolizes confidence, courage and strength; inspirational dangle is inscribed "strength". Delicate silver ball chain is 16" with a 3" chain extender; medal has ¾" diameter. 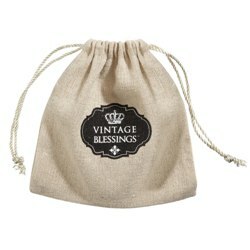 Linen gift bag is included for easy gift giving. "St. Michael, give us your strength to defeat our fears and to rise up to any challenge."